According to the Income Tax Act, 1961, section 80G offers a tax deduction for donations to certain prescribed funds and charitable institutions. The section 80G is applicable to all the person or assessee who makes an eligible donation whether an individual, HUF, NRI or a company. The extent of deduction is either 50% or 100% of the contribution depending on the charitable institution it is donated. For some type of funds, the deduction is limited to 10% of the Adjusted Gross Total Income. In this case even we do make a donation larger than 10% of our Adjusted Gross Total Income, the donation amount eligible for claiming a deduction would be maximum of 10% of the Adjusted Gross Total Income. For example if the gross salary is 6 lac and investment under 80C is 1 lac so our Adjusted Gross Salary = 5 lac, so we can get exemption on donation upto 10% of 5 lac i.e.- 50k. Only donations made in cash or cheque are eligible for Tax Rebate. 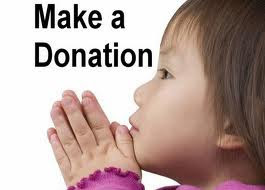 Donations made in kind, in the form of food, clothing, medicines etc are not eligible. Donations made to foreign trusts do not qualify for deduction under the section 80G.Also we cannot claim deduction for donations made to political parties for any reason including paying for brochures or pamphlets etc brought out by such parties. Donations made to all charitable institutions is not qualify for the deduction.